cards. 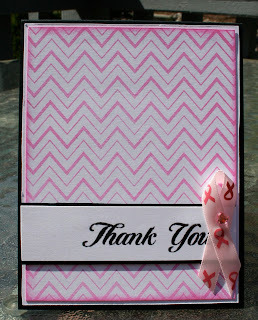 Today I wanted to share with you some Thank You cards that I made up for the lady that I am a "Chemo Angel" to. 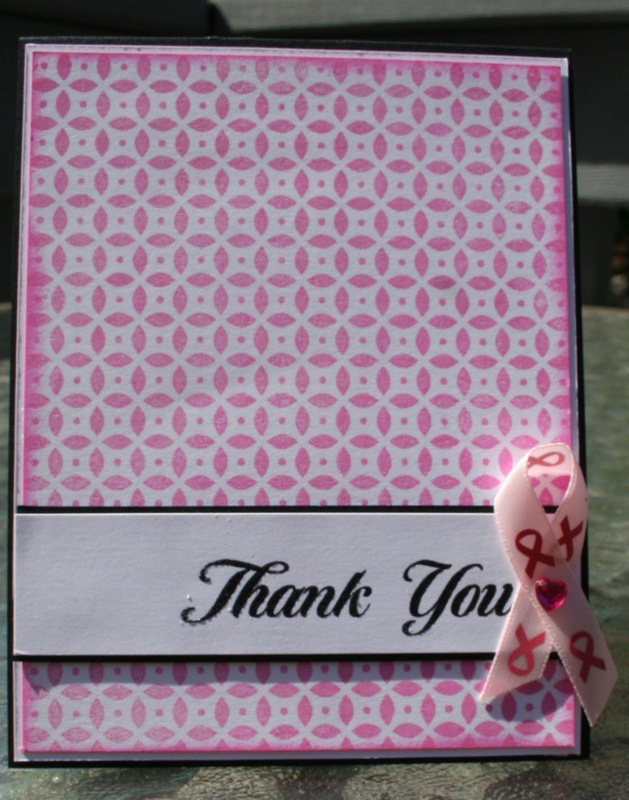 I thought that it might be nice for her to have on hand some extra thank you cards that she can whip up and send or give at a moments notice. 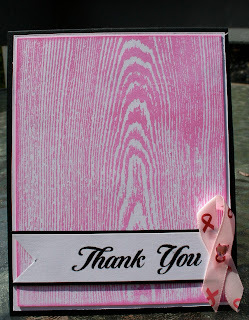 Being cardmakers ourselves we kind forget that other people actually have to venture out to get cards and so for a person who is going through chemo (really any illness) it is nice to have a stash on hand. For that reason I like to give out card sets that aren't really sets but happen to be a collection of cards that cover a very broad spectrum of events. 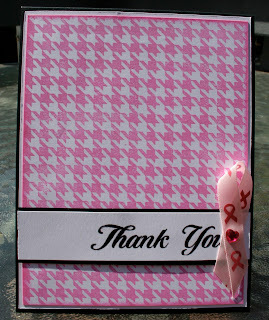 Today, however, I stuck with thank you's and tried to go with pinks...the "official" color of breast cancer. 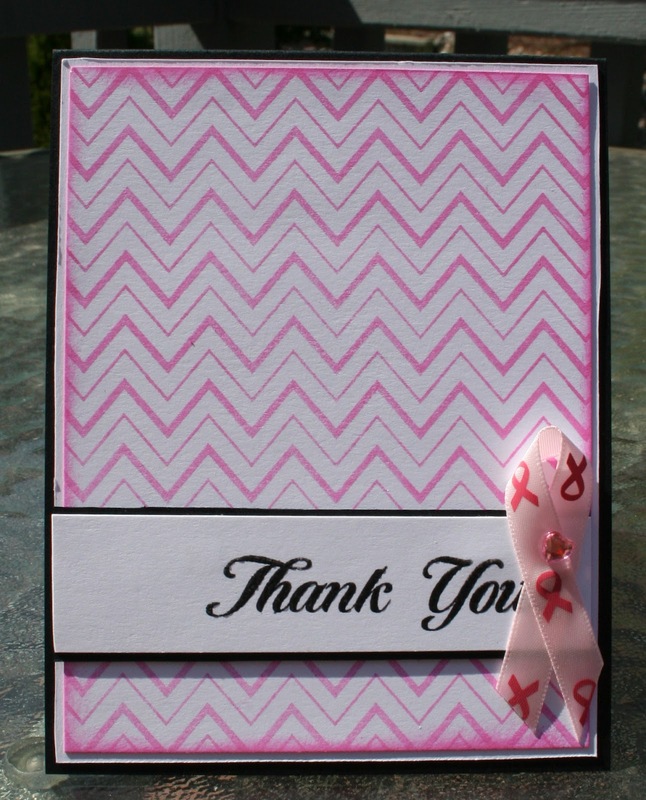 Here is a sampling of the cards that I sent out....I believe that I will make more and they will be used as my thank you's to the people who have been sending me support for my Susan G Komen walk. I made up about a dozen or so....and with different patterned backgrounds. Thank you for stopping by. I hope your day is fab! Sheila, these are WONDERFUL, and I'm so happy to hear that you are an Angel! These could not be more perfect! Hi, Sheila! I am sure these cards will be very much appreciated! I love all the different backgrounds you have chosen. That's so awesome you're a chemo angel! 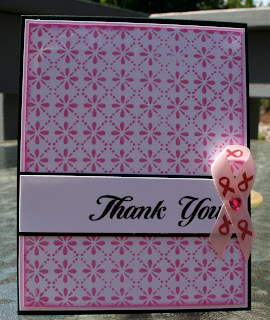 These are perfect and I know they will be much appreciated by the recipient! Great idea, Sheila! 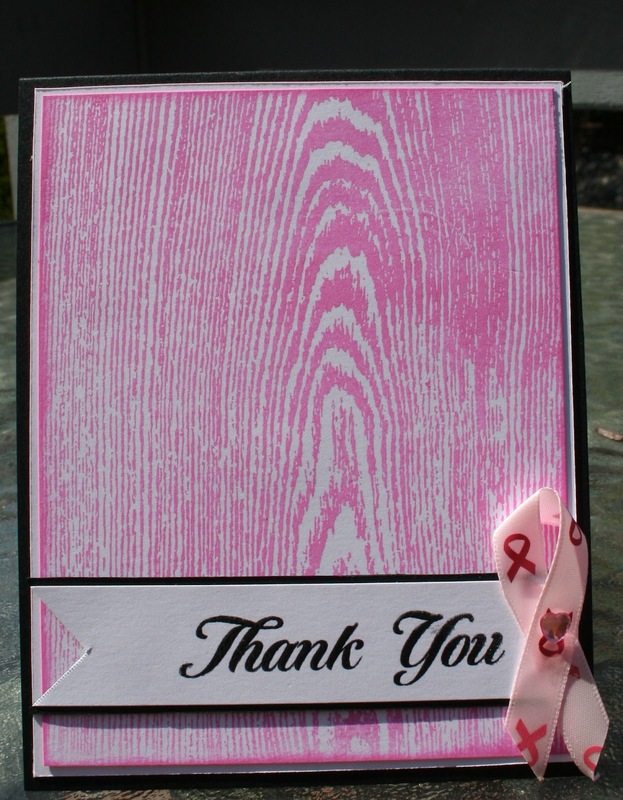 I love all these backgrounds in pink--lovely cards! This is such a good idea, Sheila! 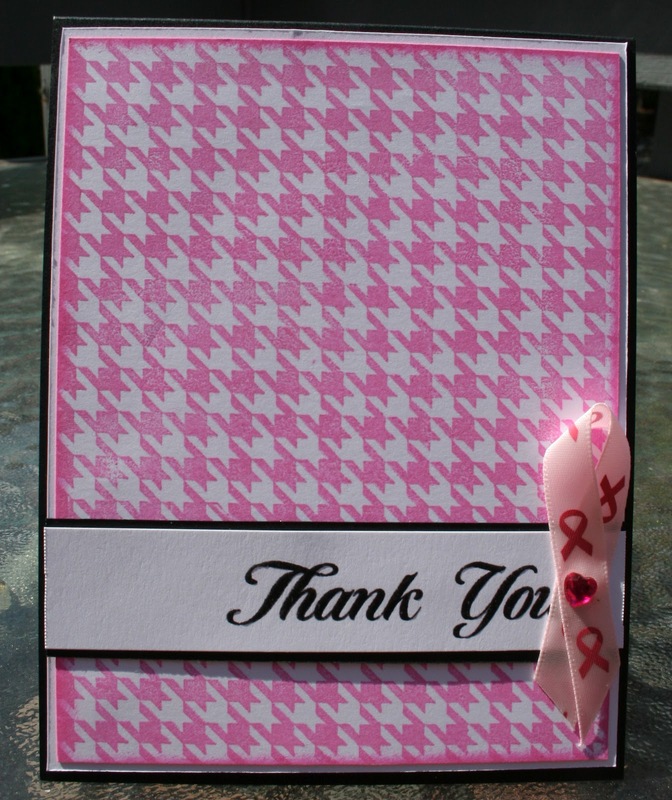 I know how important it is for chemo patients to send out thank you cards - she'll love this beautiful set! What a great set Sheila. Very thoughtful to give a set like this. Will be much appreciated no doubt. How did I miss the info about you doing this walk?! Best of luck with it!! Sheila I always knew you were an angel :0) Love how you used a great "recipe" and changed the backgrounds for a coordinating set!